There is no vehicle on Earth quite like a Jeep Wrangler. It has a distinctive look that cannot be confused with any other vehicle on the road. While technically an SUV, it really belongs in a class all by itself. Other Jeep products, such as the Grand Cherokee and the Renegade, have also taken strides to distance themselves from the hordes of look-a-like SUVs. Jeep vehicles are truly one of a kind, and if you would like to see them live and in person, look no further than our Jeep Dealership in Orange County. 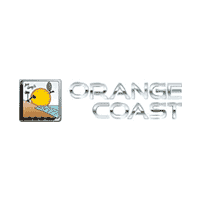 At Orange Coast Chrysler Dodge Jeep RAM, we proudly display the iconic Jeep line. The unique fascias and easily recognizable body contours give our lot and showrooms the feeling of greatness that Jeep has brought the automotive world since WWII. But what else can our dealership do for you? Well, besides having all the Jeep SUVs, crossovers and trucks you could ask for, we also have an outstanding staff that will walk you through every step of the car Jeep buying process. From the showroom floor to the finance department, to the service bays, we will set you up with the perfect Jeep for you and your driving needs. It all starts with our incredible sales team. These talented men and women know all the ins and outs of every Jeep vehicle on our lot. They can describe each engine, what kind of power they bring, and what they offer in terms of performance. 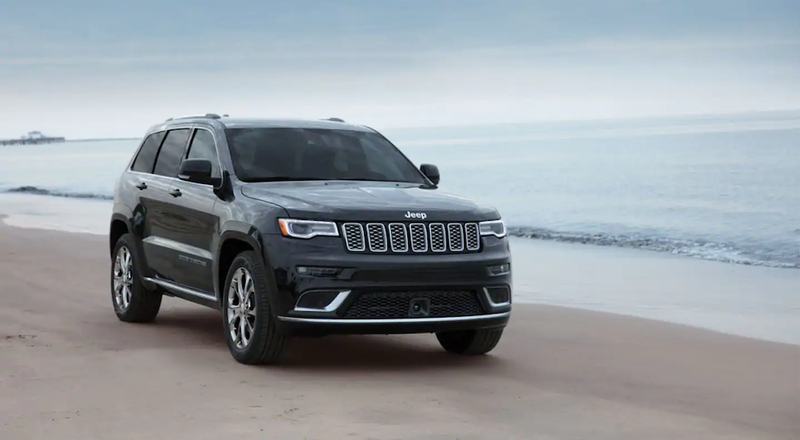 They can show you all the safety and infotainment features that each Jeep offers, the interior space that each brings, basically any questions you have, they can and will answer. Modern vehicles are getting more and more complex with each passing model generation. As technology improves, it is integrated into the latest automobiles. In the automotive world this happens at breakneck speed. It takes a real car enthusiast to keep up with new innovations both under the hood and on the dashboard. That is exactly what our awesome sales staff is full of. They are dedicated professionals who commit themselves to knowing every detail of the vehicles we sell on our lot. Most car buyers do not know all of these intricate details. They may know that they are in the market for an SUV or pickup truck, but not much beyond that. They may know they need a certain amount of interior cargo space or a certain towing capacity, but will not typically know more than what their specific needs are. Of course, not all vehicle buyers are like that. Some do extensive homework. However, if you fall into the former category and know just the nuts and bolts of what you need, you can trust our sales professionals at Orange Coast Chrysler Dodge Jeep RAM. They know all about these vehicles, and may even know what you need before you do. After you have picked out the perfect Jeep vehicle and decided exactly what trim level you need, and you have decided on what extra packages complete your new Jeep, you will begin working with our finance department. Here at Orange Coast Chrysler Dodge Jeep RAM, we know that purchasing a new vehicle is a serious investment. Any new automobile will likely cost tens of thousands of dollars, and most people don’t have that kind of money just laying around. Working with our finance department will enable you to get the best deal available. We know all of the tricks of the trade, and we know how to get you the best possible deal. We have certain rebates and payment plans that some customers may qualify for. We know how to set up monthly payments to optimize your interest rate. We also know how to get you into a lease, if leasing best fits your future driving and financial needs. Purchasing a new Jeep is not something to be entered into lightly. It is a financial commitment with great potential rewards. However, if you try to do it all on your own, you may end up costing yourself both money and a potential hit to your credit rating. Our financial wizards can help you avoid that potential headache. That is exactly why they are here. There is one last step to make before driving off into the Southern California sunset in your brand new Jeep. As we have established, a new Jeep is a substantial financial investment. You want to make sure you do everything you can to keep it running at optimal performance for as long as possible. That is where our service technicians come in. Here at Orange Coast Chrysler Dodge Jeep RAM, we have a very talented service team who know all of the ins and outs of all of the vehicle’s engines on our lot, and more. These people can diagnose and fix just about any problem you can encounter with your new Jeep. But, what they can do before that time will save you time, money and incredible hassle. We can set you up with a regular maintenance schedule designed to avoid potential problems down the road. Some things need to be done on a regular basis to keep your Jeep running as smoothly and efficiently as possible. Things like oil changes, tire rotation, fluid checks and the like keep the Jeep running as it was designed to and avoid catastrophic damage. There are other, more complex procedures that need to be done on a regular basis as well, but not nearly as often. Our maintenance team can do all of these routine procedures, and more. We will gladly set you up with a schedule to keep these procedures in line with how often and when they are necessary. Some will depend on your driving habits (miles commuting, city vs highway, whether or not you spend a considerable amount of time on dirt roads, etc.). Once we have a good indication of your driving habits, we can set you up with that schedule. As long as you keep to it, your Jeep will be running smoothly for years to come. We also offer something from our service department you are not likely to find in many places. Our service department opens at 7 AM Monday through Saturday. If you want to get a quick oil change in before work or get a tire rotation before school, you have the option of setting up an appointment well before a lot of other auto service establishments are even open. At Orange Coast Chrysler Dodge Jeep RAM, we love our Jeeps. We love their unique design and storied history. We also love to see them on the road with happy drivers behind the wheel. We want you to be one of those happy Jeep drivers. Come by our lot on Harbor Boulevard in Costa Mesa and check these Jeeps out in person. Chat up our sales staff about just what the Jeep line has to offer. Talk to our finance department on whether or not leasing is the way for you to go. See our service team on how they can keep your Jeep running in tip-top shape. From SUVs to trucks, Jeep brings a lot of ingenuity and utility to the table. It is time you pulled up a chair. We will see you soon!